Nothing is more beautiful than the woods in the winter. With the snowy landscape and gorgeous iced-over lakes, winter time in nature is one of the magical times to go exploring and experience nature for yourself. 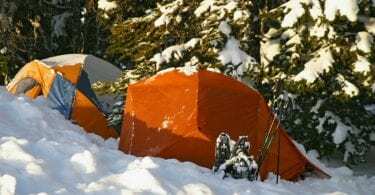 Cold weather camping has become much more common in recent years, with upgrades in tents and sleeping bags promising to keep you warm and comfortable in much colder temperatures than ever before. 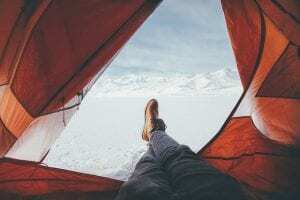 In this article I'm going to talk about how to go winter camping; how to overcome your fears of doing it, as well as some ideas to make a winter trip more fun instead of just a survival mission! Will it be hard to navigate? These are all valid concerns and question. But rest assured...with a bit of preparation and foresight winter camping can be every bit as enjoyable as summer camping. It just takes more effort to get ready to go out there. I'm going to cover a bunch of the issues in the rest of the post to try and persuade you to go for it! Staying warm isn't just crucial for survival, it's also important for morale. It might not be as much of an issue during the day if you're on the move, hiking and climbing, but in the night it will be a big concern. Having the right cold weather gear can really help here. One of the most important steps to keep your body temperature up is to dress appropriately for the weather. This means lots of layers. Rei's Expert Advice recommend you start with a synthetic layer as your base to manage moisture, and then add insulating layers for warmth, with a removable shell layer on top to protect you from the elements. It's also important to make sure that your feet are warm, so pack plenty of socks and an extra pair just for night time. All that can be pricey, but if you plan in advance and look for deals, it doesn't have to break the bank. Just don't compromise on quality or you'll set yourself up for a miserable time. Once immediate survival isn't a serious concern, you'll want to do a little bit more to get properly comfortable during your trip. I reckon there are three key areas to improve comfort: making an effort to stay dry, choosing and preparing your pitch carefully, and following some tactical sleeping tips. Waterproof anything that might come into contact with water, especially your boots. Try to keep at least one set of clothes dry at all times for sleeping in. Use any sunshine during the day to air your sleeping bag (which will start to get damp as days go by). Another sleeping bag hack is the VBL or Vapor Barrier Liner that fits into your sleeping bag. The liner will stop condensation from your breath or sweat from seeping into your sleeping bag. Try not to breathe into your sleeping bag and keep your tent ventilated; one thing that everyone agrees on is that condensation is enemy number one when it comes to staying dry! If you're pitching on snow you can dig a small trench outside your tent. This makes putting your boots on easier in the morning, without having to sit in the snow. Another tent-pitching tip is to stamp down your campsite with your boots or snowshoes. This step will make your tent floor solid, and make it easier to walk around during the night. 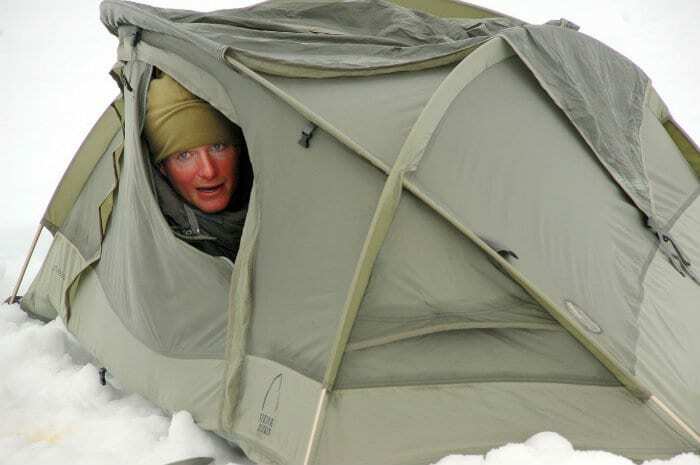 And whilst you should definitely choose a sheltered spot out of the wind, try not to pitch your tent in a hollow where all the cold air gathers! If you put the clothes you mean to wear the next day into your sleeping bag overnight, you'll start the next day in a better mood than having to crawl into cold clothes first thing. You can also sleep with your boot liners as well, going off that same idea. Another way to kick the night off is to eat something right before you go to bed, or drink something hot. Getting something warm in your system is an easy way to go to bed warm too. You can also fill your water bottle with hot water and take that to bed with you. And as a final tip, you also want to make sure you're not climbing into your sleeping bag cold. Some folk recommend doing some jumping jacks or push-ups to get your blood flowing. It's important to make sure that the food you're eating is providing your body with enough of what it needs to perform in the colder weather since you will use way more calories compared to summertime. This means that it's important to load up on extra food. A good rule of thumb is to focus on meal plans with around 50% carbohydrates, 30% fat, and 20% protein. Your body needs the easy-energy-carbs to convert them into heat, and it needs the fat for more long-term heat production, while protein is always important. Just make sure that nothing you bring will freeze solid in the colder weather since you won't be able to eat it, and the extra weight will just be unnecessary. One way you can get around this issue is to dehydrate certain foods. Since no water means no ice, this will keep foods from freezing. Another way to get around some frozen issues is to pre-slice some snacks, like your cheese and salami slices. Let's not kid ourselves; winter nights are long and cold, and the weather is unpredictable. You'll never be able to replicate those warm summer days and nights you're used to. But that doesn't mean winter camping is no fun. It's just different fun. It's probably worth bringing your tablet or e-reader as you'll be able to read in dark without the need of a torch, and it can keep you entertained for at least a few days as long as you don't waste the battery. Another idea is to bring a candle to give you some light to read by, as well as make the tent lighter, homier and just more pleasant to be in. If you're staying put for a few days there's all sorts of winter games you can play during the day, like snow golf, snow slides, and seal races! There's nothing quite like getting in touch with your inner child to keep you entertained (and it has the bonus of keeping you really warm too!). F​or the more artistic, woodworking and carving are more tent-bound activities that are good for whiling away a few hours. 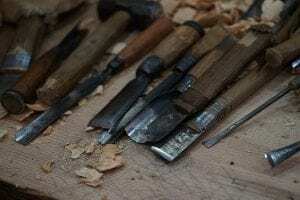 Obviously you won't be bringing along any power tools, but a small selection of hand tools will be light and easy-to-pack so can provide a really good bang-for-your-buck. Stargazing in the pure winter darkness is also a great activity. Bring a book with a few of the major constellations, and then sneak out into the snow one night (or just get up super early) to see how many you can spot. 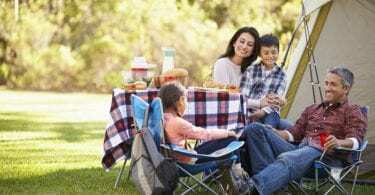 So far we've focused on easy tips and tricks to make your camping trip easier and safer. Now we'll talk about a few things you want to make sure not to do since some major discomfort can be avoided by learning from other people's mistakes. I've already mentioned not breathing into your sleeping bag because the condensation will make it wet. Down works because it has a lot of air or "loft" in between the individual pieces, meaning that more warmth is trapped by the fabric. When it gets wet, it clumps together and won't work nearly as well to keep you warm. In seriously cold weather the bag can actually freeze! On a similar note, a lot of first-timers will really baton down the hatches when pitching their tent in an attempt to keep the warm air from escaping. This is also a mistake for the same reason as above. A properly vented tent will work against condensation building up (we produce a surprising amount of moisture through breathing!). Yes, you sacrifice a bit of warmth, but keeping out the damp as much as possible will keep you drier and more comfortable in the long run. Another no-go is certain kinds of snacks. Don't bring candy bars or other foods that will freeze. A lot of hikers love the quick boost and the tons of calories you get from candy like Snickers bars. Unfortunately, they also freeze solid when it gets cold, meaning that you won't be able to eat them! Finally, don't overextend yourself the first time out. Plan for everything you do to take 3-4 times longer than you expect. Make sure you choose a hike that you can reach comfortably. 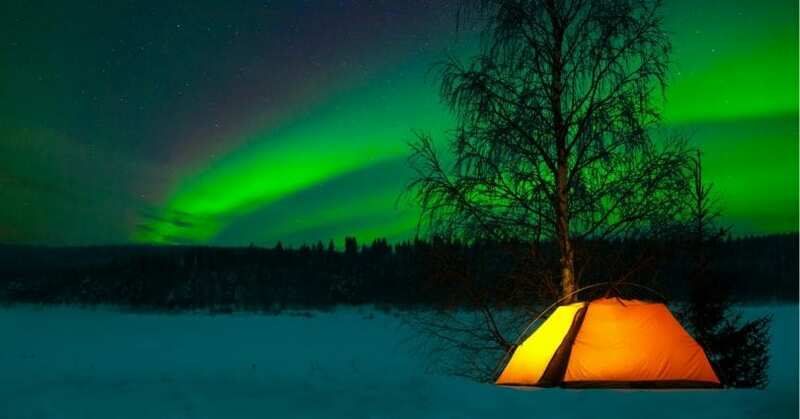 You really don't want to be pitching your tent or making dinner in the dark. Hopefully this covers most of your questions, which means you should be ready to pull on your snow boots and strike out into the great frozen outdoors! Remember to make sure that your plans are well made, other people have been informed where you're going and when you'll be back, and that you've got everything you need. Check out our resources list for more articles that will give you in-depth advice and help you "chill out"!